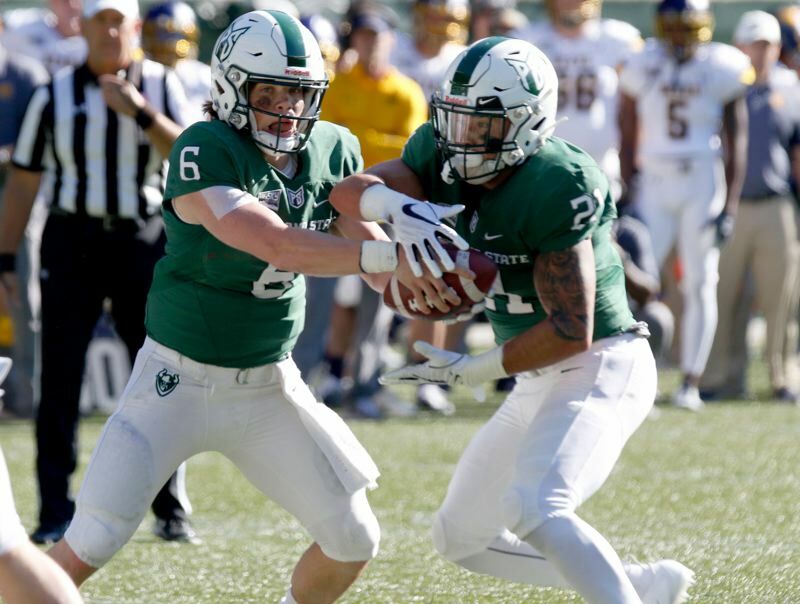 A stinging loss after a valiant effort might have the Portland State Vikings more motivated than ever to finish the season strong. "There's two ways a team can go after a loss like this," PSU quarterback Davis Alexander said after the Vikings fell 48-45 last Saturday to Idaho State. "We're going to make sure we keep the locker room (spirits) up." The Vikings had won three in a row going into the ISU game, and they had visions of winning three more to finish the regular season on a six-game tear. If the Viks are going to bounce back immediately, they'll have to do it in a difficult place to play (Grand Forks, North Dakota) in their noon PT Saturday game against the North Dakota Fighting Hawks. And then the Vikings will have a taller task, but also an opportunity to knock off rival Eastern Washington. The Eagles are 7-2 (5-1 Big Sky) and last week were ranked fourth/fifth in the national polls. The PSU-EWU game is 7 p.m. Friday, Nov. 16, at Hillsboro Stadium. "Essentially we're playing for nothing as far as playoffs and all — we're knocked out," Alexander said. "You can bury yourself in the dirt or rise up and beat two of the top teams in the conference, and that's what we're going to do." PSU is 3-3 in Big Sky games and 4-5 overall, so two wins would boost the Vikings above .500 and assure them of a high finish in the conference — a big improvement for a team that was 0-11 last year and 3-8 in 2017. North Dakota is playing as an independent until it joins the Missouri Valley Conference. UND has continued to face a flock of Big Sky schools. Last week, the Fighting Hawks lost 31-27 at Idaho, which beat visiting Portland State 20-7 on Sept. 29. North Dakota also lost 25-21 to Idaho State and beat three teams PSU also defeated. UND won 38-13 at Northern Colorado, 41-14 at home against Montana and 41-15 at Sacramento State. The Vikings beat Northern Colorado 35-14, won 22-20 at Montana and won 41-14 at Sac State. North Dakota is 5-4 under fifth-year coach Bubba Schweigert, with two losses in a row. UND will finish its season Nov. 17 at Northern Arizona. North Dakota beat PSU 48-21 last year in Portland. At this point, in many respects, the Vikings are mostly concerned with themselves and how they perform. They have been improving steadily, and their performance was good in a lot of ways against Idaho State, whose offense was as potent as advertised. PSU's offense came alive, too. It put together seven scoring drives (average distance, 73 yards). Six drives resulted in touchdowns, and the Vkings outgained the Bengals, 597 yards to 518, with running backs Carlos Martin, Darian Green and Antwone Williams picking up big chunks on a night when another key back, Sirgeo Hoffman, was out with a twisted ankle. "Good to see. The (offensive) group grew up," PSU coach Bruce Barnum said. "We saw some kids making some big plays. I think the offense picked up the defense. It had been the other way around." Alexander passed for two touchdowns and 273 yards and ran for 64 yards and three scores. Barnum used backup quarterback Jalani Eason as well. "Both of them played well," the coach said. "They got us through some crucial third-down plays, scrambled, moved the chains and got the ball in the end zone. They fed off each other well." Portland State marched into ISU territory in the final minute but came up a few yards and seconds short of getting a crack at a tying field goal. "We did a good job keeping Idaho State (off balance)," Alexander said. "We've just got to move on to the next game and carry that over to next week. "We showed we can play with anybody. … There's no reason why we can't put up 52 (points) and win that game." Barnum said he was proud of his team. "I told them they're to the point where they can win every game on their schedule," he said.